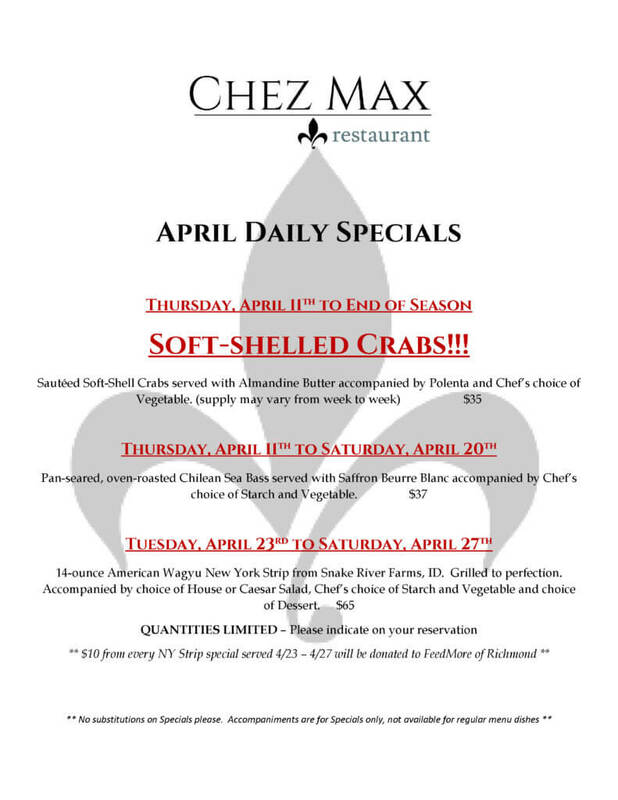 A bit late but with the basketball and patio weather we chose to hold off on the April specials until we heard Soft-Shelled Crabs are back in season!!! Also, although we are not officially signed up for 2019 Richmond Restaurant Week, we still want to do our part for the community. $10 from each Prix-Fix will be donated to FeedMore of Richmond.